This low carb foods list will enable you to increase your metabolic rate for weight loss.We recommend shifting from a carb-burning to a fat-burning metabolism. The idea is to consume a wide variety of natural low carbohydrate foods and, apart from a weekly treat, to avoid consuming refined processed carbohydrates. You’ll find a list of refined processed carbohydrates awaiting you further down this page. You’ll also find the page link to a list of specific protein, ‘fat burning foods’ (very low carbohydrate or no carbohydrate) listed on our site map/index. Using all this information will rapidly shift you from burning sugar to burning fat. We have lists of the foods that you may eat and lists of the foods that you should avoid. All the lists are given in order further down this page. We also discuss once-per-week cheat days, and we point out why they work well for most people but not for others. We have a choice of free low carb diets for you to follow and we have free low carb food charts to get you started. So, let’s find out more. From our low carb foods list, pick your foods for daily use. You are unique. What works best for weight loss for someone else may not work best for you. Therefore, even if only for a few weeks, keeping a written record of exactly what you eat will be extremely helpful in observing what low carb foods work best for you. The first task is to get your daily intake of carbohydrates down to 25 grams or lower and keep it there on most days in order to lose body fat. If you don’t do that, you won’t switch from burning sugar to burning fats. If you do that and follow the program presented here at our free website, you’ll quickly be on the way to real weight loss. 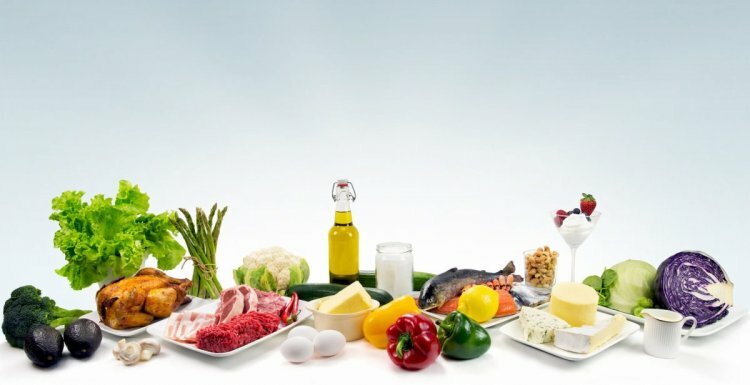 Once you are where you should be in terms of body composition (in other words, your percentage of body fat), you may raise your carbohydrate intake slowly (until you reach the level at which you start to gain weight) but continue to restrict all refined processed carbohydrates apart from the occasional treat. These particular proteins are not only low carb foods but also no carb foods. In relation to the thermic effect of foods, they are also fabulous ‘fat burning’ foods. Choose as many of these as you wish to include on your list of low carb foods. Do not, of course, consume anything to which you are allergic or intolerant. In addition, as with all low carb foods, do not cover them in flour, breadcrumbs, batter, gravy, or sauces, etc. Otherwise, you are loading them with carbohydrates. Fresh fish at least two to five times weekly. Fin fish are excellent. Oily fish from the deep ocean are the best. However, unfortunately, mercury contamination in some species is a problem. Fresh whole eggs (preferably free range) and egg whites (but usually not more than 1 yolk daily). Lean red meat from natural sources is best if you can get it. Domestic poultry is acceptable if it has been range-fed and not treated with hormones or antibiotics. Rabbit. Goat. Pork, but it can be hard to digest for many people. Internal animal organs (such as liver, heart, pancreas, and bone marrow) are fine once or twice weekly. In general, the best low carb foods from plants are non-starchy vegetables. Stems and leaves of vegetables may often be used in salads. Remember to deduct the carbohydrate count of vegetables from your daily allowance. Why not make use of the fruit and vegetable carbohydrate charts that we provide? You may print them out for personal use. Their page links await you at the bottom of this page. Since modern fruits and fruit juices are high in carbs and you can get all the phytonutrients necessary from vegetables, it is best to avoid them. Limit your intake to a small quantity of fresh low carb fruits such as berries — blueberries, raspberries and strawberries. Remember to deduct the carbohydrate count of the berries from your daily allowance. It is very easy to break your carbohydrate budget when consuming fruit, even low carbohydrate fruit. With respect to oils, use liberal amounts of omega-3 fatty acids (for example, from deep water fish or fish oil supplements) and omega-9 fatty acids (for example, from cold-pressed, extra virgin olive oil). Use a more restricted intake of omega-6 oils (for example, many vegetable oils). Canola, flaxseed, and walnut oils are acceptable. Wine (especially red, unless you suffer from migraines triggered by red wine) is acceptable (but no alcohol if you are following an anti-candida diet). If you drink alcohol, it’s unwise to have more than one drink daily if you are female or two drinks daily if you are male. Only unsweetened alcoholic beverages should be consumed. If you consume any alcohol, remember to deduct its carbs from your daily carbohydrate allowance. Fresh coconut and unsweetened coconut milk. Fresh garlic, ginger, turmeric, cinnamon and other antioxidant, anti-inflammatory culinary spices. Oregano, dill, thyme, and sage and other herbs. For most people a weekly cheat day can help fat reduction. Unfortunately, for some people it can prolong cravings. It’s easy to ensure that you have one cheat day a week. That means having one or two cheat meals on that day. If you don’t have a cheat day, you’re body will react as if you were starving. By consuming plenty of carbs, fats, and calories, you’ll restore your leptin level to normal. If you do not do that, your lowered leptin level will signal your body to reduce your metabolism and fat burning, which is the opposite of what you want. After a week of low carb consumption, leptin levels become reduced by about half. Unfortunately, some people find that a weekly cheat day creates strong carb cravings, which may continue for five or six days after the cheat day has ended and sometimes until the next cheat day begins. Rather than giving up the advantages of a cheat day (especially putting your body into starvation mode), if you find that you have lingering food cravings be sure to consume plenty of fats as well as proteins from natural sources. That usually minimizes or even eliminates them. If you are one of the few for whom it doesn’t, unfortunately you’ll need to choose between a reduced metabolic rate due to the starvation response and those cravings, which is a real dilemma. Remember: cravings are thoughts. If you are someone confronting this dilemma, please don’t quit. Instead, visit our psychology pages and use the techniques there to free yourself from compulsive thoughts. Usually avoid questionable foods (even those that are low in carbs). Tuna (which may contain high concentrations of mercury) even though it is a low carb food. Eat no more than once per week. Avoid sausage and cold cuts unless you make your own. Sausages and cold cuts are usually full of additives and/or sugars. All dairy products are best avoided. This also includes low fat dairy products such as nonfat milk, low fat or nonfat cheese or cottage cheese, low fat sour cream, low fat cream cheese, or plain yogurt (without sugar). Our hunter-gatherer ancestors never consumed any of these. Many people can have a hidden intolerance of these foods. If so, this can slow down weight loss. Legumes (beans, peas, peanuts, and so on). These are not low carb foods. Moreover, our hunter-gatherer ancestors did not evolve eating foods. Consequently, many people can have a problem with these foods. Unlike animal proteins, these are not foods that burn fat. Grains, amaranth, buckwheat, quinoa, etc. All grains, including amaranth, buckwheat, and quinoa. Again, our hunter-gatherer ancestors never ate these. Consequently, many people can have a problem with these foods and that can slow down or halt weight loss. Potatoes, sweet potatoes, and yams, are not low carb foods. Even though they may be low in carbs, it’s also usually best to avoid these foods. There are good reasons to avoid these foods even if some are on a list of low carb foods. Avoid all trans fats, which are found in all hydrogenated or partially hydrogenated fats, oils, and margarines. Avoid all foods that have been canned, frozen, milled, irradiated or extracted such as canned vegetables, frozen dinners, and packaged cookies or cakes. Such harsh processing destroys nutrients. Avoid large fish such shark and swordfish because they may contain high concentrations of mercury. When digested, all carbs become sugars. So, think of eating carbs as eating sugar. Moreover, think of eating refined processed carbohydrates as eating concentrated sugar. Eliminate them all apart from the occasional treat on a cheat day. Over-consumption of refined, processed carbohydrates is a major cause of weight gain, insulin resistance, metabolic syndrome X, obesity, type 2 diabetes, heart disease, high blood pressure, food cravings, and many diet related diseases. Your body can make everything it needs from proteins and fats. If you are serious about weight loss, the only carbs you should consume on most days are the natural carbs that are in plants such as fresh vegetables and low carb fruits such as berries. These are the bad boys! Refined processed carbohydrates are such things as breads, pastas, rolls, muffins, flour of all kinds, crumpets, pastries, bagels, buns, pretzels, doughnuts, cookies, biscuits, cakes, tacos, corn chips, wraps, most Mexican food, pizza, croissants, white (polished) rice, wheat, corn, soft drinks, sodas, sugary drinks, foods containing corn syrup, candy/toffee/sweets, potato chips, pastry, pastries, desserts, jams, jelly, jello, dumplings, pasty/pastie, pies, batter, breadcrumbs, store bought cooked meats/cold cuts if they have added sugars and additives), sausages/hot dog frankfurters if they contain carbohydrate fillers, additives or sugar, all sugars, all products containing sugar, granola bars, breakfast bars, and most cereals. Avoid gluten-containing grains such as wheat, rolled oats, triticale (a wheat-rye mixture), rye, barley, spelt, and kamut. It it also be best for some people to avoid wild rice, teff, millet, and sorghum. Avoid grain fed beef and grain-fed buffalo. Avoid meat from feedlots where animals are treated with antibiotics. Avoid sweetened dairy products such as frozen yogurt. Look out for “hidden” sugars in foods, drinks, and dairy products. If you would like a short tutorial on how to read food labels and spot ‘hidden’ sugars, see weight loss tip number 4 on our web page: Weight Loss Tips. You will find that page listed on the navigation buttons. In summary, avoid or strictly limit refined or processed carbohydrates, and then use low carb foods and fat burning foods to return to the type of diet your body was designed to eat. If you gained useful information from this page and wish to improve your weight loss and low carb eating habits further, the following books are highly recommended. D. E. Bradford, HOW TO EAT LESS — EASILY! Bennett & Sinatra’s Sugar Shock!